SONG BIRD! 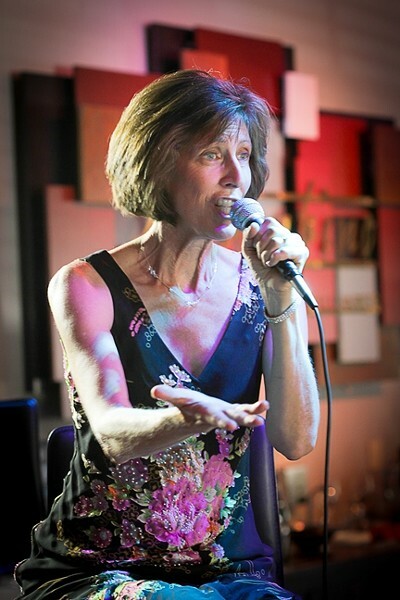 : Exquisite genre-jumping vocalist Judy Philbin plays Feb. 2 at SLO’s Unitarian Universalist Church and Feb. 15 at SLO’s Unity Church. Her voice is a bell-clear thing of beauty, playful, nuanced, and able to effortlessly convey emotion. It’s a great record, and Judy Philbin has a couple of upcoming shows to promote it. This Sunday, Feb. 2, she plays SLO’s Unitarian Universalist Church with Adam Levine and bassist Ken Hustad at 2 p.m. ($20 general admission; $5 for students; brownpapertickets.com or 786-4331). If you just can’t miss the game, on Saturday, Feb. 15, Philbin appears with another great jazz vocalist, Dawn Lambeth, where they’ll be backed by a five-piece band at 7:30 p.m. in SLO’s Unity Church ($20 general; $15 for Jazz Fed members; $10 students; call 546-3733). HIPSTERS: The Mother Hips return to SLO Brew on Feb. 1 for a night of breezy, hook-laden, semi-psychedelic rock’n’roll. And you can also catch Philbin every Thursday, including Thursday, Jan. 30, from 6:30 to 9:30 p.m. in La Bellasera Hotel, with Levine and bassist Mike Swan. If she doesn’t perform it, be sure to request “Surry with the Fringe on Top.” Her rendition is a real charmer! Aristocrats, Karaoke, Hips, Schenker, and Whiskey! Construction continues at the new bigger, better SLO Brew Higuera St. location, but that hasn’t stopped the club from booking tons of great shows in their eventually disappearing Garden St. location. This Thursday, Jan. 30, rock fusion instrumental trio The Aristocrats will bring their shredding sounds to the Brew, promoting their new album Culture Clash. Our own ripping guitar guru Travis Larson will open the show (7:30 p.m.; all ages; $20). A-OKAY! 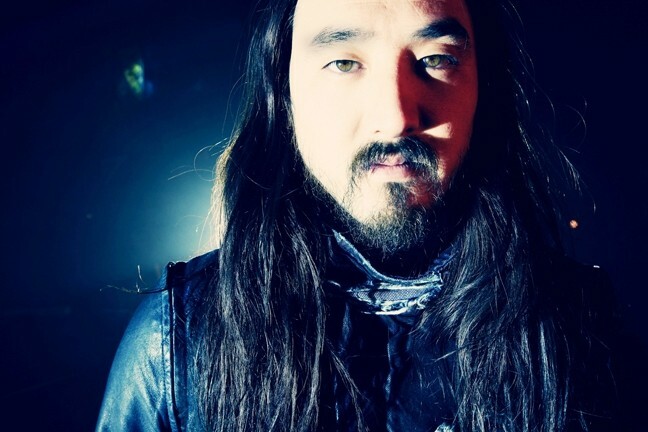 : Phenomenal DJ/producer Steve Aoki brings his Winter White show to the Cal Poly Rec Center on Jan. 31. The club’s quarterly karaoke contests have been going gangbusters, and they’re drawing some really good talent, maybe because of the $500 first prize. The next one is Friday, Jan. 31 (7:30 p.m.; all ages). If you want to participate, I suggest you arrive right when doors open. They’ll place hopefuls’ names in a hat and draw participants at random. If you’re good, be ready with more than one song, because finals will be asked to sing a second and third song for the judges to determine the grand champ. Brotha C hosts. The kings of Cali rock, The Mother Hips, return to the club on Saturday, Feb. 1 (7:30 p.m.; 21-and-older; $15 presale or $17 at the door). Get ready for some breezy, hook-laden, semi-psychedelic rock ’n’ roll that’s got one foot in the ’60s and the other kicked in the air. The Donkeys open. Rock guitar legend Michael Schenker will command the stage on Tuesday, Feb. 4 (7 p.m.; 21-and-older; $20 presale or $22 at the door). While just 15 years old, he joined his brother Rudolf’s band Scorpions, with whom he produced his 1972 album Lonesome Crow. Then he was recruited by UFO, and they released 1974’s Phenomenon, which featured the songs “Doctor Doctor” and “Rock Bottom.” Schenker became an instant legend! BARN STORM! 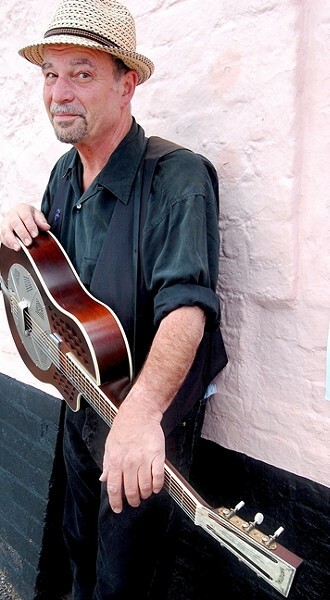 : Steve James—well known among contemporary acoustic folk and blues fans—plays the next Red Barn Community Music Series concert on Feb. 1. Finally, on Wednesday, Feb. 5, check out Whiskey Myers (7:30 p.m.; 21-and-older; $13 presale or $15 at the door). 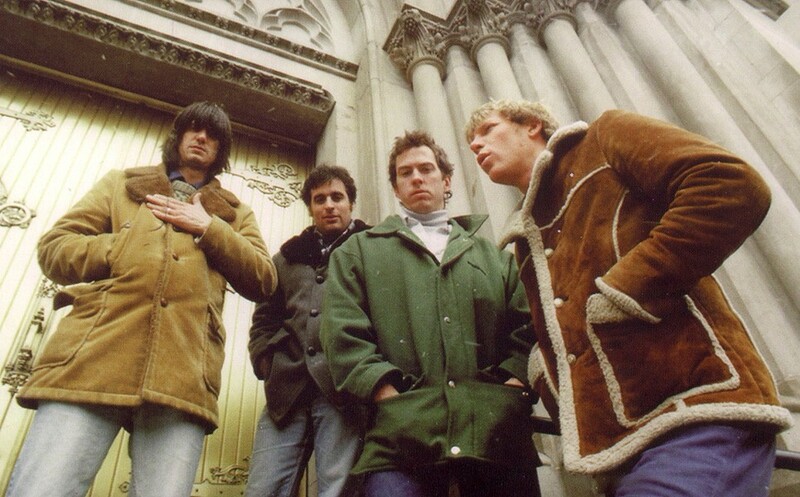 The group writes great narrative songs, and while their sound has been called rebel music, they prefer the term everyday soul. These Texas boys can really put on a show. Aces Up opens. Electronic and dance music fans, squeeze your legs together so you don’t pee yourself, because Steve Aoki returns to the Central Coast this Friday, Jan. 21, at the Cal Poly Rec Center (doors at 6 p.m.; general admission $50; student tickets $40, at all Vallitix locations or online; all ages). Dzeko & Torres, Autoerotique, and Max Styler will also perform. Aoki’s latest solo album, Wonderland, was released a year ago and features some great guest vocalists and musicians. He also has remixed many artists and bands, including Jackson 5, Drake, Kanye West, Eminem, Lil Wayne, Mike Posner, Girls Generation, All American Rejects, Refused, The Killers, Bassnectar, Lenny Kravitz, Bloc Party, Snoop Dogg, Robin Thicke, S.P.A., Kid Cudi, Chester French, and Peaches. SEIGE! : Cej (pronounced like “siege” and short for Carl E. Johnson) plays Sculpterra Winery on Feb. 2. 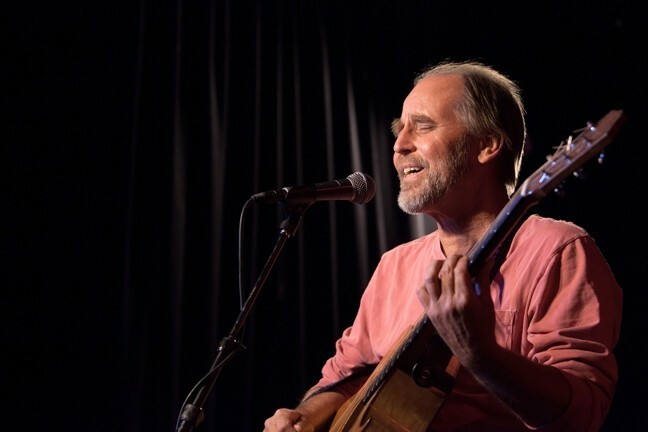 Steve James plays the next Red Barn Community Music Series concert this Saturday, Feb. 1 (doors at 4:30 p.m.; potluck at 5 p.m.; concert at 6 p.m.; $15 at the door). He’s well known among contemporary acoustic folk and blues fans, playing guitar, slide guitar, mandolin, and guitar-banjo. John Hammond, Bo Diddley, Buddy Guy, and Howard Armstrong are but a few of the luminaries he’s shared a stage with. He’s also appeared on numerous compilation albums, including a recent Grammy-nominated tribute to Mississippi Fred McDowell and an homage to Charley Patton to which he contributed both music and liner notes. If you know what’s good for you, you’ll be there! Indie, jazz, folk, and soul artists Matthias & The Cry play D’Anbino Tasting Room this Saturday, Feb. 1 at 8 p.m. They call themselves “a soul sauced roots jazz Exploratorium.” Eric Brittain (mandolin, fiddle, and guitar), young master drummer Antiye Mensah from the Pan African Orchestra, and Native American bassist Michael Hocking guest star. TRAXX, a five-piece band that says they’re “rockin’ and rollin’ down the railroad tracks of life with a country flavor,” wants you to ride along with them at The Pour House in Paso Robles this Saturday, Feb. 1, from 8:30 to 11 p.m. The Fuel Dock Saloon in Morro Bay recently upgraded their light and sound system, and Back Bay Betty is ready to rock it this Saturday, Feb. 1, from 9 p.m. to 12:30 a.m. Classical music lovers take note! On Saturday, Feb. 1, at 8 p.m. in the Christopher Cohan Center, world-renowned pianist Robert Edward Thies joins the SLO Symphony for Rachmaninoff’s Piano Concerto No. 3 in D minor, Op. 30 (Tickets are $20 to $75; call 756-4849). On Sunday, Feb. 2, at 4 p.m., Thies offers an intimate solo recital at the Cass Winery ($40 tickets; call 543-3533). EAR-TO-EAR SMILE: On Feb. 3, the Hillside Church of Grover Beach will put a smile on your face with a free concert by The African Children’s Choir. 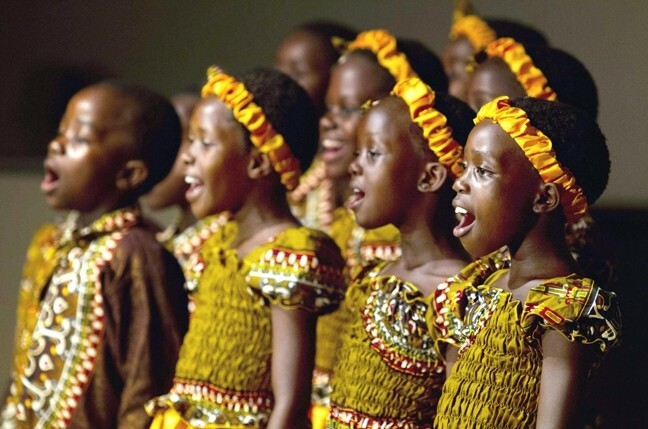 On Monday, Feb. 3, at 7 p.m. in Hillside Church of Grover Beach (489-4608), put a smile on your face with a concert by The African Children’s Choir, who can melts the hearts of audiences with their beautiful voices and lively African songs and dances. The program features well-loved children’s songs, traditional spirituals, and gospel favorites. The concert is free and open to all, but a free-will offering will be collected at the performance to support African Children’s Choir programs, such as education, care and relief, and development programs.